Jamie Whincup has escaped penalty for a refuelling breach during his troubled pitstop in Race 15 at the Coates Hire Ipswich SuperSprint. With the air hose initially failing to raise the #88 Holden onto its jacks, Whincup’s car was briefly refuelled while still on the ground in breach of the regulations. Realising the issue, the refueller then disconnected while a back-up hose was organised and inserted into the car. The breach was investigated by Deputy Race Director Michael Masi and referred to the stewards, who elected against awarding a penalty due to the circumstances. 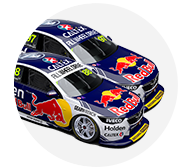 “The Stewards received a referral from the DRD regarding an alleged breach of Rule D29.1.5.6 by Car #88, Jamie Whincup, for failing to have all four wheels raised off the ground whilst the Car was being refuelled during Race 15,” read the stewards’ statement. Speaking to Supercars.com, Red Bull team manager Mark Dutton welcomed the “common sense” decision. “Everyone connects (the fuel hose) as the car stops and the car gets spiked,” Dutton told Supercars.com. “They all technically connect before it’s off the ground, so technically everyone is in breach, but it’s just part of the process normally of the car going up. “There’s always a degree of common sense with that and that’s what they’ve applied here. “Our refueller reacted as quickly as possible when he saw what was going on and pulled out and then put it back in to make sure we had enough fuel. “If anything we ended up with slightly more fuel than we wanted, which is a disadvantage because you're carrying around more weight. The stewards did the right thing." Dutton also confirmed that it was human error, rather than equipment failure, that led to the initial issue with the air hose. “It was just a mistake, everyone is human,” he said. “There was a bottle changed out after pitstop practice in the morning and all the regulators were checked they were turned on but unfortunately it wasn't connected. "The guys did a good job to put the spare in, but we still dropped nine to 10 seconds." 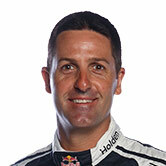 Whincup went on to finish 20th in the race, dropping 111 points behind championship leader and race winner Scott McLaughlin.